“The River Merchant’s Wife: A Letter” has a very complicated history. I can’t even say “Ezra Pound’s ‘The River Merchant’s Wife”— though he’s often listed as the author. Let’s begin, as a river or a journey might, at the beginning. Back in the 9th Century in China there were two great poets. One of them we’ve already met there: Du Fu. He was known for his wisdom and level-headedness. The other was Li Bai (his name is also written in western letters as Li Po and Li Bo, and in Japan as Rihaku) who was known for his more excessive existence. In China both have been continually revered, but in early 20th Century Europe or America, they were nearly unknown. Only scholars interested in off-beat subjects knew of these men’s work. 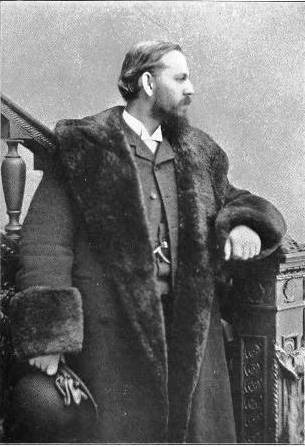 One such scholar was an American, Ernest Fenollosa, who had traveled to Japan and become deeply immersed in Japanese culture, and as a sidelight to that, he also was exposed to Chinese culture. Early in the 20th Century, Fenollosa was one of a group of Americans living in England. We’ve met others here who were part of this “reverse British Invasion” of Americans: Ezra Pound, Robert Frost, T.S. Eliot—and you’ll soon get to meet another, H.D. Fenollosa then died in 1908, still in London. Here’s were something fateful happened. Fenollosa’s widow, for some reason, gave Ezra Pound a bunch of her late husband’s papers. Pound was a young man who was trying his damnedest to start some kind of artistic movement in London. In the papers were scholarly prose translations of Li Bai’s poems done by Fenollosa and two of his Japanese associates, Mori and Ariga. Pound fell upon these scholar’s notes. 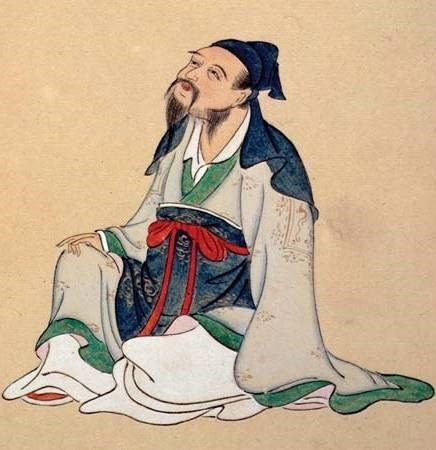 He’d already sought out other old poetry for inspiration for his revolution (much as the Pre-Raphaelites had looked backwards for something fresh), but in this old Chinese poetry he found what he was looking for. It was concise. It was free of centuries of cruft that English poetry had accumulated. And Pound naïvely felt that the poems themselves grew out of the ideograms for their words, Chinese characters which had evolved from drawings of objects. He had found his poetic revolution. Poems should be constructed of little more than images. Not images in the sense of elaborate similes or strained allegories, images in the sense of a presentation of the direct observation of the poet, unadorned. Pound published what he created out of those scholars’ notes as a ground-breaking poetry collection “Cathay,” and he quickly began to compose his own modernist poems using his epiphany. If Fenollosa hadn’t died in London, and if his widow hadn’t given this tranche of papers to an artistic provocateur such as Pound, it’s possible that Li Bai would be no better known in English today than he was in 1908, and it’s even more likely that poetry in English from that point on would have evolved differently. Seems like a miracle when such things line up, doesn’t it? Well, here’s something as miraculous: though “The River Merchant’s Wife’s” source was written over 1200 years ago in a culture so far removed from America that the childhood legend was that one would need to dig a hole through the center of the Earth to get there, even though it comes to us filtered through non-Chinese scholars, and even though the particular words I’ll use today to express it were written by an avant-garde poet whose work remains little-read and understood today, many people have an immediate deep emotional response to this poem the first time they hear it. I know I felt those things when I first heard it, aged perhaps 21 on a sad journey with a young woman. I hear it now as an old man too, and think once again of my friend John, and of China. The place, Cho-fu-Sa, that the river merchant’s wife says she will go out to meet her husband is, I’m told, hundreds of miles from her village in the poem. What is such distance to the heart? To hear my performance of “The River Merchant’s Wife: A Letter” use the player gadget at the bottom here. Since this post is already long, I’m not going to talk much about the music today. The higher-pitched string instrument you’ll hear is my approximation of the pipa, a traditional Chinese lute. There are many moving recitations of this poem available online, but to see an entirely light-hearted modern translation of “The River Merchant’s Wife” after listening to mine, view this one.